Isodiol International inc (CSE: ISOL, OTCMKTS: ISOLF) has seen quite the turmoil over the last few weeks, although it’s stock price wouldn’t exactly show it. This is the direct result of receiving a cease trade order on August 24th from the British Columbia Securities Commission in relation to improperly filed financials. Although still able to trade on the OTC markets in the United States, it has prevented Canadian investors from realizing any gains that may have been present in the latest run that the cannabis sector experienced. To add salt to the wound, on September 3rd Health Canada announced that as of October 17th, any production of CBD requires an ACMPR license. This includes CBD derived from all sources, not just that of cannabis – eliminating the grey area that Isodiol was able to previously operate in due to their claim of acquiring the compound from hops. It’s needless to say that many things have changed for Isodiol International since our last coverage on the company several months ago. Reverse splits, cease trade orders, and the list goes on. Let’s take some time to get caught up. By and large the most frustrating issue for current Isodiol shareholders, was the status of the equity on the exchange. The stock had been halted on August 24th, when the BC Securities Commission elected to halt the company from trading due to improperly filed annual financial statements. The issue at hand appears to have been how figures were represented related to recent acquisitions the company has made. This cease trade order is the first for the company, however it was compounded with a second cease trade order issued on September 5th. This secondary halt is a result of the company failing to file financials for the period ending June 30th, 2018 on time. Although this is highly likely to be due to dealing with amending annual figures, it still reflects poorly on the company. Amidst these cease trade orders, the company announced some changes in management. What can only be assumed to be a direct result of the CTO, the companies Chief Financial Officer Bryan Loree was ousted and replace with an Eli Dusenbury. Loree had served in this role for over two years, beginning his time at the company with Laguna Blends prior to the acquisition of Isodiol. Dusenbury has been in the trade for roughly eight years, and his LinkedIn profile identifies that he is the CFO at a second public company, YDreams, as well as Liberty Defence Technologies. UPDATE: We were recently contacted by Mr. Bryan Loree, wherein he indicated that our assumption was incorrect. His resignation was submitted prior to the cease trade order being issued, with his last day at the company being July 31, 2018. In an attempt to reassure investors that all was well, a release was issued on August 31st identifying that amended financials had been submitted to the commission, and that they expect the equity to resume trading shortly. However, the company didn’t have the chance to resume trading when it was slapped with the second order. Although frustrating, it’s likely a positive for the company that it hadn’t resumed trading in the meantime. As it stands, it appears that few are aware that this second order was even applied against the company. 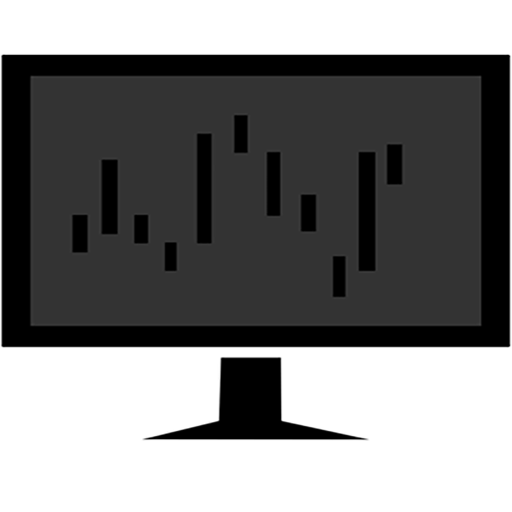 The equity has since resumed trading – a full twelve business days later. In that time period, the Canadian Marijuana Index had rose from $696 to $876. Isodiol International is now the second lowest market cap among constituents as of the time of writing. The story of Isodiol and that of ImmunAG is one for the ages. It’s a classic tale of claiming ownership over your partners work – which in the end, hit Isodiol right where it hurts. For Isodiol this story begins in late 2017, when on November 14th they issued a news release. Within, they indicated that it’s scientists had discovered a way to extract cannabidiol, also known as CBD from a plant other than cannabis or hemp – hops. The only problem with that however, is that they hadn’t. The true story of ImmunAG and its hops based CBD starts with a small firm called Peak Health Center and a trip halfway around the world. Dr Bomi Joseph, the scientist responsible for discovering cannabidiol in humulus in the remote regions of India, is also the man responsible for crossbreeding the species to the point of developing humulus kriya. He’s also the man behind Peak Health Center, the firm which holds the patents for humulus kriya as well as ImmunAG and any related products. For those wondering, this is the reason that Isodiol never really backed up its claims of finding CBD in hops when questioned by scientists. The truth of the matter was they likely didn’t understand the science behind it, or how it was discovered. However as a result of these claims, Dr. Joseph and Peak Health Center elected to terminate the relationship between themselves and Isodiol on April 11, 2018. The termination came into effect one month later. This information however was not released to Isodiol International shareholders. 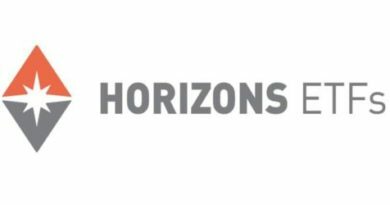 Instead, the news of the firm moving away from hops derived CBD was filed away nicely in a news release issued June 12th, 2018, announcing the purchase of 51% of Round Mountain Technologies. Rather than state that Peak Health had terminated the agreement due to the nature in which Isodiol was representing the technology, they instead indicated it was due to unfavourable market conditions. As if this wasn’t enough drama surrounding the ImmunAG product, the founder of Iso International and a former 10% equity investor in Isodiol, Jared Berry, was still claiming that he had exclusive rights to the product the next day. This however was stated in a news release for CBD Naturals, which was issued on June 13, 2018. This release however is quite concerning, in that it references Berry as “founder and CEO of CBD Naturals®, now known as Isodiol International Inc”. Berry was later sued by Peak Health Center for this claim, and Isodiol has stated that it knows nothing of the company referred to as CBD Naturals. An Isodiol advert for a CBD Naturals product. 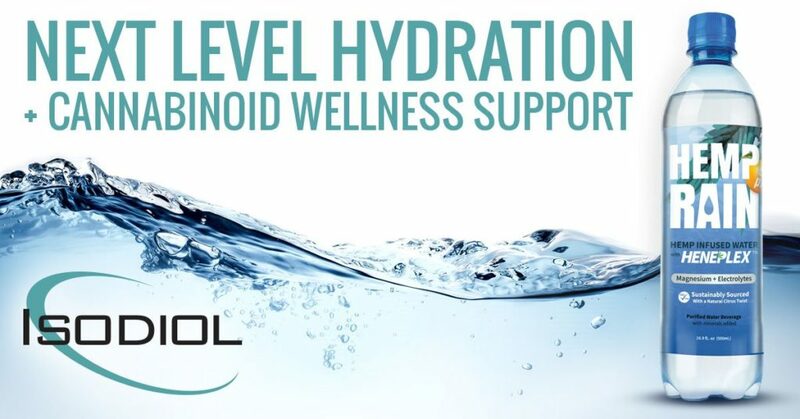 Further to this information, the Isodiol website in fact lists a spec sheet for this nano infused water and also has images of product with the CBD Naturals logo, which can be found here. It should also be identified that the claim of, “When Isodiol International Inc acquired Iso International LLC from Jared Berry, Isodiol International Inc also acquired a 19 percent passive, minority interest in a company called Carlsbad Naturals LLC” is questionable as per company filings. In the amended March 31, 2018 annual financial statements, it is stated that a 19% minority interest was acquired in CBD Naturals on February 14, 2017. On the following page, it identifies that 100% of ISO International was acquired by Isodiol on May 15, 2017. If you wish to do further reading on the saga between Peak Health Center, ImmunAG, Isodiol International, and CBD Naturals, this PotNetwork article is an excellent starting point, “A Curious Case of Humulus Kriya: The Story of Peak Health Center and CBD Naturals“. Be sure to follow it up with this article from the Green Market Report, “Strange Lawsuit Saga Continues Between Peak Health Center and CBD Naturals“. After contacting the company, Isodiol confirmed that they own a 19% minority interest in CBD Naturals. Farmtiva’s Incorporation. Note the date in the top right. The acquisitions of 51% of both Farmtiva and Round Mountain Technologies is rather important when glancing at the Isodiol timeline. Given that we now know Peak Health Center and ImmunAG had issued notification to Isodiol on April 11, 2018, for the termination of their partnership, the acquisitions now follow a more logical path. In need of a domestic source for CBD, it’s relatively simple to follow managements thought process. 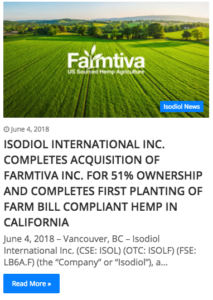 The first foray into stateside hemp was set into place on May 2, when Isodiol announced the binding agreement to purchase Farmtiva. Farmtiva, ran by CEO Chris Boucher, is an industrial hemp company that currently has an agreement in place to lease 60 acres of a 160 acre facility in California. The company, which was acquired for $1.5 million USD in stock on June 4, 2018, has a relatively short history – it was only incorporated on April 26, 2018, three business days before the announcement of the binding agreement. Or was it really acquired, like the company news release states? Here’s an excerpt from the interim financials, filed on Sedar September 11, 2018, wherein it clearly indicates that any portion of the company has not yet been acquired. Excerpt from filings made Sept 11 indicating that Farmtiva Inc has not been acquired by Isodiol. Although no direct link was made between Christopher Boucher and Isodiol International prior to this agreement being in place, Boucher has been in the industry for decades. He has previously worked for Cannavest amongst other companies in the role of VP of Business Development, and has a background of farming industrial hemp in the region. Isodiol’s Farmtiva acquisition news release. The announcement related to Round Mountain Technologies occurred several days after the “finalization” of the Farmtiva acquisition. On June 12, it was announced that similar to the Farmtiva deal, Round Mountain would be 51% owned by Isodiol should the binding agreement be signed. Little can be found on the Nevada company, which was incorporated in May 2017 by Georgia Almadova. The address listed for the corporation is residential in nature, providing little clue as to the experience the firm has in the sector. 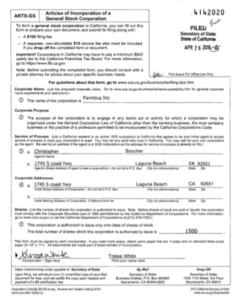 The company’s website appears to be defunct, however we were able to find a certificate indicating the firm owns 150 acres of certified organic land in Nevada. The proposed acquisition is in the form of $400,000 USD in cash and $250,000 in stock, based upon the closing price on May 22, 2018. This agreement has not yet been signed, as per the latest financial release. Isodiol International’s acquisition of Kure Corp was first announced on March 23, 2018, when a press release was issued indicating a letter of intent had been signed. Kure, a purveyor of vape related products, has several retail locations across the continental United States. Within this initial news release, it indicates that the annualized 2018 revenue for the firm is estimated at roughly $8.8 million USD. With twelve locations at the time of this estimate, it equates to roughly $734,000 in revenue per location. The transaction for this acquisition closed on May 1, 2018, with Kure shareholders receiving 23,809,523 Isodiol shares as compensation, “based on the closing of April 30, 2018” as per the official news release. After adjusting for the reverse split that occurred in June, this equates to an initial payment of $19,047,618.40. In addition to this, there are share based milestone payments that exist as well. The qualification for the first earn out payment can be found in the excerpt posted below. Based on the estimated annualized revenue for 2018, this equates to an additional $22,000,000 payment that will be due January 31, 2019. Terms for Kure Corp’s first earn out payment. In the latest interim filings submitted to Sedar on September 11, 2018, the company identified that the total consideration for Kure is expected to be $64,047,118. Based on net assets of $4,280,720, this places goodwill at $59,766,398 for the acquisition, or 93.32% of the purchase. Collectively, goodwill now accounts for 61.79% of Isodiol’s total assets. One item that should be noted, is that both Kure and Isodiol are clients of Level brands Inc, a marketing firm heavily associated with Kathy Ireland. It has been documented that members of Kure and Level Brands have had long standing connections. In fact, the current CEO and Chairman of Level Brands, Martin Sumichrast, is the founder of Kure, and is the former chairman of the company. Our findings to date indicate that Sumichrast remained a minority shareholder in the company as well. What is not clear, is whether the holdings are held privately or through Stone Street Partners, Sumichrast’s equity firm that was responsible for the founding of Kure Corp. Level Brands filings list Kure Corp as being a related party. One item of note, is that the head offices of Level Brands, Stone Street Partners, and Kure Corp are all listed as 4521 Sharon Road, Charlotte, NC. Additionally, Kure subleased space a nearby building to a subsidiary of Level Brands as recently as December 2017. Level Brands itself also owns shares in Kure Corp, as a result of two agreements signed in the latter half of 2017. The first, entered into on August 17, 2017, involved Kure engaging Level Brands in an advisory role. Compensation for this was 400,000 shares valued at $200,000, in addition to $200,000 in cash. The second, signed in early December 2017, consisted of a further 400,000 shares being issued as the result of a VapePods deal signed with another Level Brands customer, SG Blocks. This deal also included a promissory note being issued in the amount of $500,000 with 8% interest. 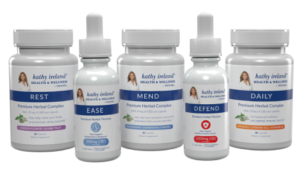 Isodiol’s Kathy Ireland product line. In both instances, shares of Kure Corp were issued at $0.50 per share. 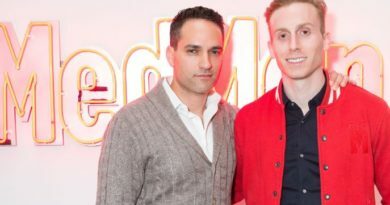 In total, Level Brands held an estimated 800,000 shares of the firm, with a cash value of $400,000. Within the acquisition these shares were viewed as being worth double, at $1.00 per share, as per a 10-K filing made by level brands on August 14, 2018 wherein it states “In the merger agreement, each share of Kure was valued at $1.00 as the initial value and is to be exchanged for shares of Isodiol in three issuances”. As a result, the value of these shares reportedly doubled between January 2018, when the second tranche of common stock was issued, to April 30, when the merger closed. Outside of Kure Corp, Isodiol International deals with Level Brands for several licensing arrangements which commenced on January 8, 2018 for a period of five years. The agreement, valued at $2,000,000, with quarterly payments of $750,000 in the form of shares, consists of utilizing Kathy Ireland Worldwide branding on several Isodiol products. The agreement was later increased to a ten year period on January 22, 2018. The first products related to the licensing agreement were announced on April 24, 2018. Plenty has occurred for Isodiol since we last covered the company. Certainly, we have not covered all that has taken place since the time of our last coverage. For instance, the reverse merger and its effects on your holdings, or the acquisition of BSPG weren’t even touched upon. Isodiol is an extremely active company, with many separate entities on the move. Isodiol International has long been a fan favourite of The Deep Dive viewers. It has a loyal base of investors that scour the internet looking for additional information on the firm so that their investment can be adjusted according. While a loyal fan base is beneficial to any company, it often acts in the disinterest of the individual investor. The fall from grace of Tesla is a perfect example of this theory. Ensure that any investment you may have is not biased as a result of personal emotions towards a brand. Be critical of where you place your hard earned dollars, and don’t be afraid to challenge the status quo. And as always, Dive Deep. Information for this analysis was found via Sedar, LinkedIn, Bloomberg, PressReader, The CSE, The SEC, Canadian Insider, PotNetwork, Green Market Report, CBD Naturals, Farmtiva, Level Brands, Peak Health Center, ImmunAG, and Isodiol International. The author has no securities or affiliations related to this organization. Not a recommendation to buy or sell. Always do additional research and consult a professional before purchasing a security.